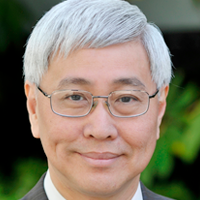 Siang-Yang Tan, Ph.D., is the acclaimed professor of psychology at Fuller Theological Seminary, where he has served for more than 30 years. He previously worked as Fuller’s Director of the Psy.D. Program and Director of Training of the Psychological Center. Of Dr. Tan’s many publications, he is best known for his book, Lay Counseling: Equipping Christians for a Helping Ministry, and for the textbook, Counseling and Psychotherapy: A Christian Perspective. He is associate editor of the Journal of Psychology and Christianity, contributing editor for the Journal of Psychology and Theology, consulting editor for Christian Psychology: A Transdisciplinary Journal, and editorial consultant of the Journal of Spiritual Formation and Soul Care. Dr. Tan is an active member in the American Psychological Association (APA) and the American Association of Christian Counselors (AACC).